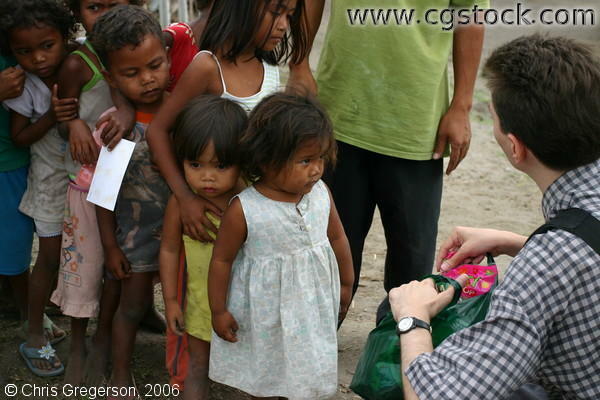 This is a photo of Chris giving out candies to the kids living in the Aeta Village in Pampanga. Each child was required to line up by height. Chris remembers the little girl at the front for her intense stare.